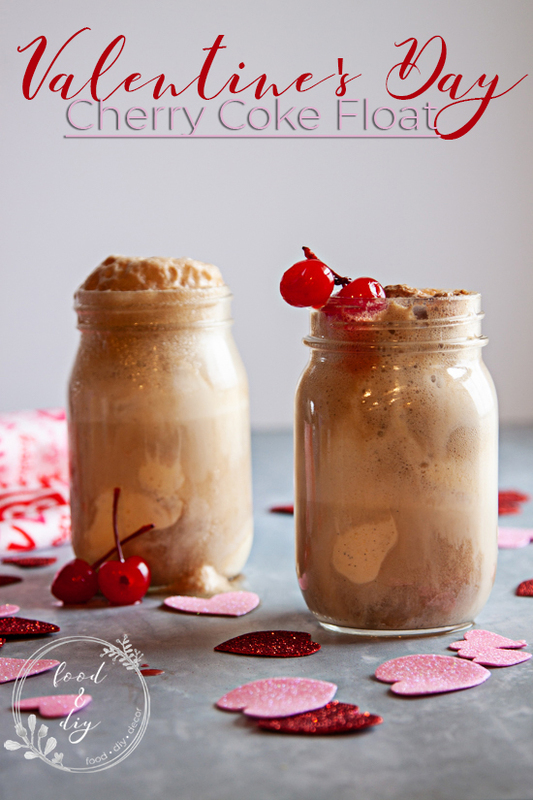 Cherry Coke Floats for Valentine’s Day make the perfect classic treat to celebrate the day with your spouse and kiddos! 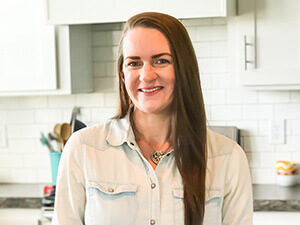 I was browsing around Pinterest the other day and was trying to find some easy, doable Valentine’s Day treats & drinks. My husband and I don’t usually go out for Valentine’s Day, we tend to stay home and do something fun without kids. Mine and my husband’s tradition is to get each other a bag of mini Reese’s Peanut Butter Cups. This is seriously all I want. They are so delicious and addicting, especially at midnight when the kids are asleep. HA! But back to the floats. While browsing on Pinterest I was inspired and thought OH! 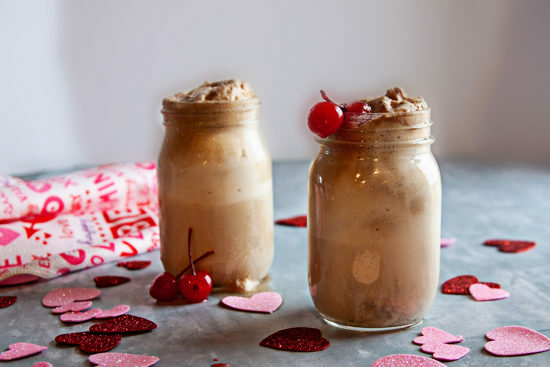 Cherry Coke Floats! 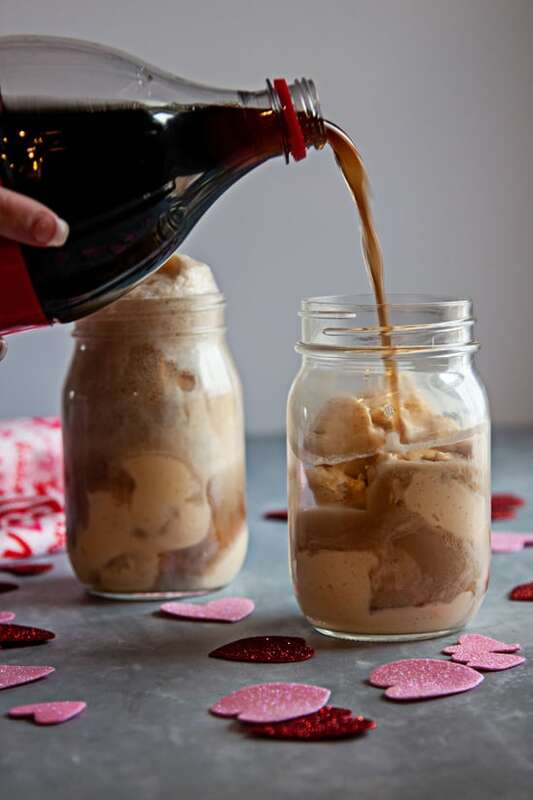 The kids love cherry cola pop and they love floats! PERFECT! 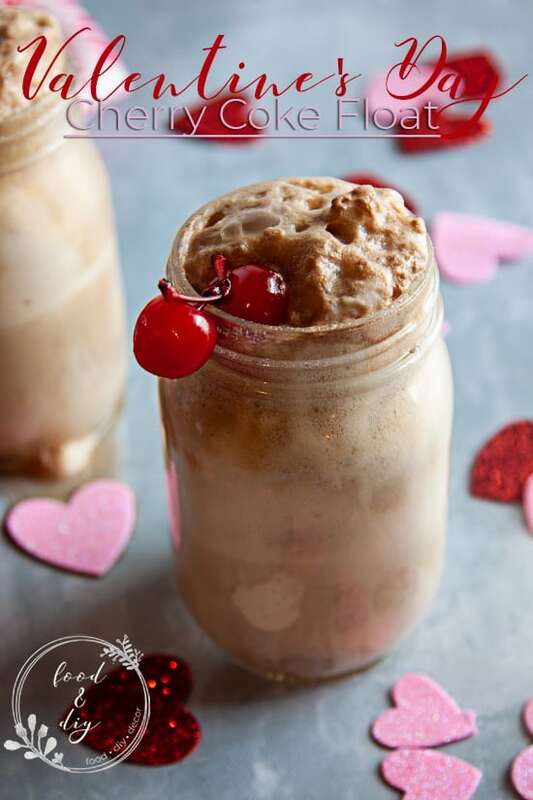 These Valentine’s Day Cherry Coke Floats are super simple to through together and make such a nice treat for both the kiddos and the adults! 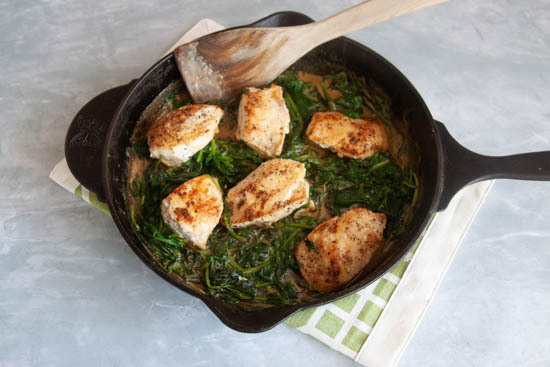 Do you have any Valentine’s Day traditions? Do you always go out or stay in? Scoop vanilla ice cream into 2 glasses. 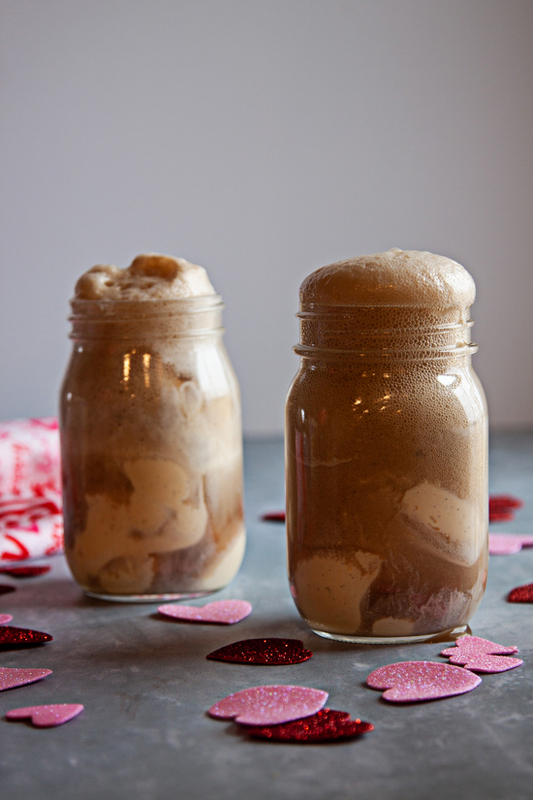 I used 4-5 scoops of ice cream for these glassed sized mason jars. Pour Cherry Coke slowly over the vanilla ice cream. You may have to stop and scoop some of the frozen foam out to be able to fill your glasses up with more Cherry Coke. Once your glasses are filled with vanilla ice cream and Cherry Coke top with cherries for a pretty garnish!